NMSU Defeats UNM in The Pit! Before the Game even started NMSU let its presence be known to Lobo Fans. UNM prepares to make its entrance onto court, begins with a video with music, of UNM players showing up to the Pit and preparing for the game. The video screens change to a view of the ramp, instead of UNM the Aggies are huddled and preparing to come onto the court. If that did not foretell the game to come this next part sure did. K.C. Ross Miller would start the Game by draining a 3. Chili and Sim scored the next 11 points. Three straight triples followed, two from Aronis & one from Mullings. This put the Aggies up 23-5 over the now shallacked Lobos and their fans, with 13:51 left in the first half. For the rest of the game UNM would try to make a come back but the Aggies would respond and never give up the lead. Booing and crying wolf were the cheers of the game for UNM fans. Guess this is why they didn't want it on TV. ALBUQUERQUE – A total team effort by the New Mexico State men’s basketball team (9-5) lead to a 67-61 road win over in-state rival New Mexico (7-3), Tuesday, Dec. 17 in The Pit to give the Aggies their first win over the Lobos since Nov. 16, 2011. Junior guard K.C. Ross-Miller shot a perfect 8-for-8 from the free throw line, showing his composure in front of 15,411 loud Lobo fans, and senior forward Renaldo Dixon came up with a huge block on UNM star Kendal Williams with just :11 seconds remaining on the clock to help the team to victory. Six of Ross-Miller’s free throws were made at or under the :30 second mark in the second half. Junior guard Daniel Mullings was great on both ends of the court posting 14 points while going 5-of-6 from the free throw line and adding five assists and four steals. Tonight marked the 12th time Mullings tallied double-figures in scoring and the fifth time he has dropped at least five dimes. The Aggies narrowly outshot New Mexico 37.5 percent to 34.6 percent but the Lobos had one more rebound than NM State (37-36). Three different Aggies scored in double figures and sophomore center Sim Bhullar was huge on the defensive end with five blocks. NM State started the second half allowing the Lobos to score the first two points but bounced back scoring the next four to take a 43-28 lead. UNM went on a 6-0 run to pull to within nine at the 16:11 mark but the Aggies would not let up holding that nine point lead through the 11:30 mark at 51-40 when Mullings took it to the basket making another lay-up. The Lobos would take advantage of their home crowd and eventually pull to within four points when Aggie forward Chili Nephawe picked up his fourth foul to send UNM guard Kendell Williams to the line. Williams made both free throws making it a 56-52 game with 6:40 remaining. Neither team would score until Bhullar hammered down a dunk at 3:29 mark putting NM State back up by six. The Lobos made it interesting in the final minute of play, pressuring the Aggies into two turnovers, which led to UNM points. The Lobos got to within two points at 61-59 with :51 seconds on the clock but great free throw shooting by Ross-Miller and the huge Dixon block put the home team away. The Aggies held UNM without a 3-pointer, which is the first time a team has held the Lobos without a three in 23 years. The Aggies started out on fire taking a 14-2 lead that was capped off with a Bhullar lay-up at the 15:40 mark. After three free throws by the Lobos, Aronis hit a three to put his team up 17-5 with 14:49 left in the half. Both teams exchanged buckets for the next six minutes of play before Dixon hit his first 3-pointer of the season to give the Aggies a 29-17 lead. UNM pulled to within eight at 32-24 with 3:01 in the half but a 7-2 run over the next 1:12, which included five points by Ross-Miller gave the Aggies a 39-26 lead going into the locker room. NM State shot an outrageous 7-of-12 from behind the 3-point arc in the first half that helped the Aggies take a lead in The Pit for the first time since the 2005-06 season. Aronis led the Aggies with nine first half points going 3-of-5 from 3-point land. Junior Tshilidzi Nephawe added eight points in the first half that included 4-of-6 free throw shooting. The Aggies return home for two games during the holiday season. NM State plays Northern New Mexico, Saturday, Dec. 21 and then has a week off before taking on South Alabama, Saturday, Dec. 28. Both games start at 7 p.m. (MT) and are scheduled to air on the radio with ‘Voice of the Aggies’ and Hall of Famer, Jack Nixon giving the play-by-play action. Dating back to 1991, UNM has made a three pointer in every game. That came to an end in the Aggies win as the Lobos would not score a single three the entire game. #AggieUp! Let the march to March begin. 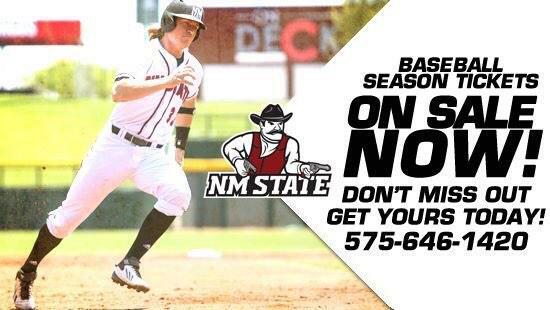 During the past three weeks, the New Mexico State Aggies were a little out of step. But after Tuesday night’s gritty 67-61 win against New Mexico in the Pit, the cadence is back. And the Aggies will soon be high-stepping it into a Western Athletic Conference that they should, well, march through with ease. New Mexico State over New Mexico at the pit. If you don't know the name Daniel Mullings, you will by March. @GeoffGrammer And they say we have no class. Tonight could loom large in March folks.Road wins at Drake and UNM give Aggies two Top 50 victories. @JPGroves Ice, cold as ice. Big win tonight! I love my dawgs! !